When I announced my pregnancy, a number of people assumed that I had everything figured out: a name (still debating between a few), a birth plan, and a fully decorated out nursery. In reality, I&apos;ve only recently gotten around to tackling the very long to-do list that comes with having a child. The thing I&apos;ve been most excited about is creating a special space for our daughter, where we&apos;ll be spending a lot of time. I wanted a design that felt appropriate for a baby, but also something she could grow into, that felt cohesive with the rest of our home. Initially we thought about transforming our guest room into the nursery, but decided that the office (which we&apos;ve relocated to our renovated garage) would be a better fit. Some things are going to remain the same, like the paint color (Dunn Edwards&apos; &apos;Classic Grey&apos;), the built-in bookshelves and other pieces I&apos;ve collected over time, but I wanted to create an inspiration board to nail down the look and feel of the room. 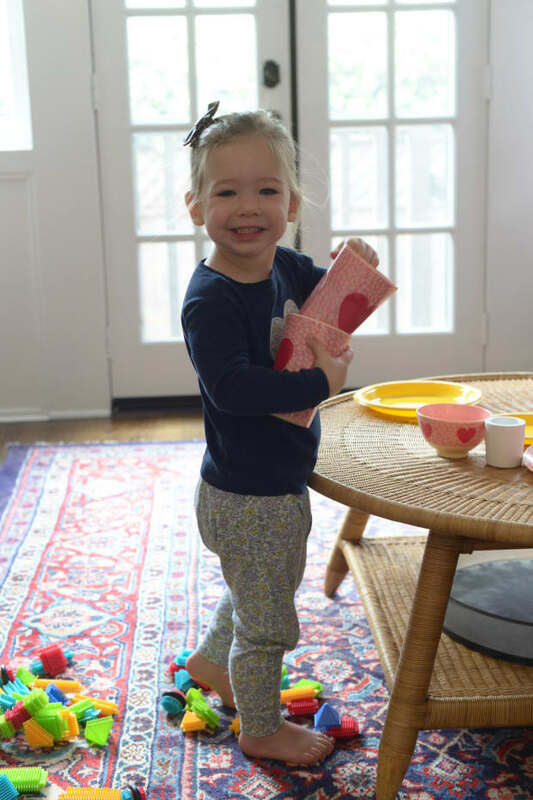 Since I&apos;m a novice when it comes to designing a nursery, I tapped Serena Dugan, a mother of two and the chief creative officer of Serena and Lily, to answer a few of my most pressing questions! Serena Dugan: "Absolutely! I&apos;m all about choosing a color palette and overall effect for the nursery that&apos;s personal and unique. Whether it&apos;s a boy, girl, or a surprise, start by deciding how you want the space to feel: calm and soothing vs. bright and vivacious, clean and modern vs. traditional. Let this overall vision steer your color palette and look & feel. Then choose the design elements that speak to you and the space that you want to create." 2. Any common nursery item that you think can disappear? Why? SD: "The traditional "changing table." I put a changing pad on top of a full size dresser, with a rug pad underneath so it doesn&apos;t slip. The concept of a piece of furniture (other than the crib) that doesn&apos;t grow with the child is antiquated and unnecessary." 3. What is your biggest tip for being a successful working mom and why? SD: "Stay present. The biggest challenge in being a working mom is always having something else you need to be doing (whether at home or at work). But I&apos;ve come to accept that the quality of my time is the one thing that I&apos;m in control of at that moment. When I&apos;m with my kids, I try to be WITH my kids. And when I&apos;m at work, I try to be AT work. That helps me enjoy and appreciate wherever I am at that moment, and accept the limitations of what I can give." 4. 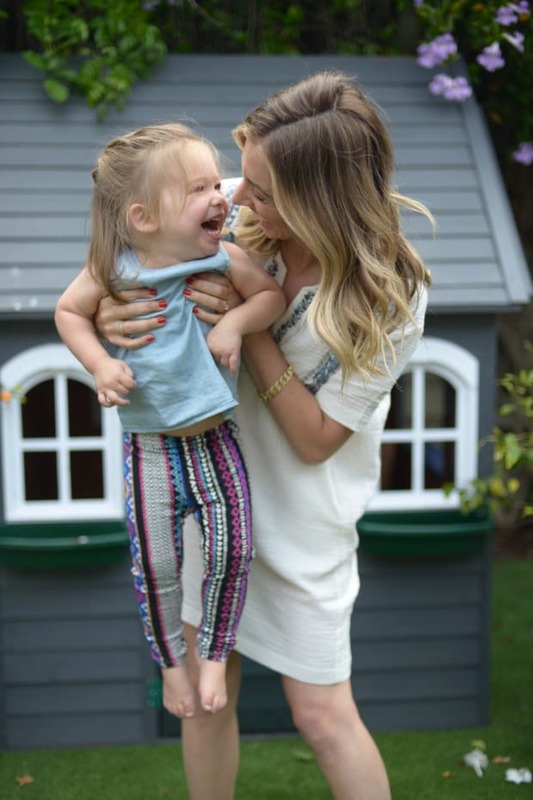 What are three nursery must-haves for any new mom and why? 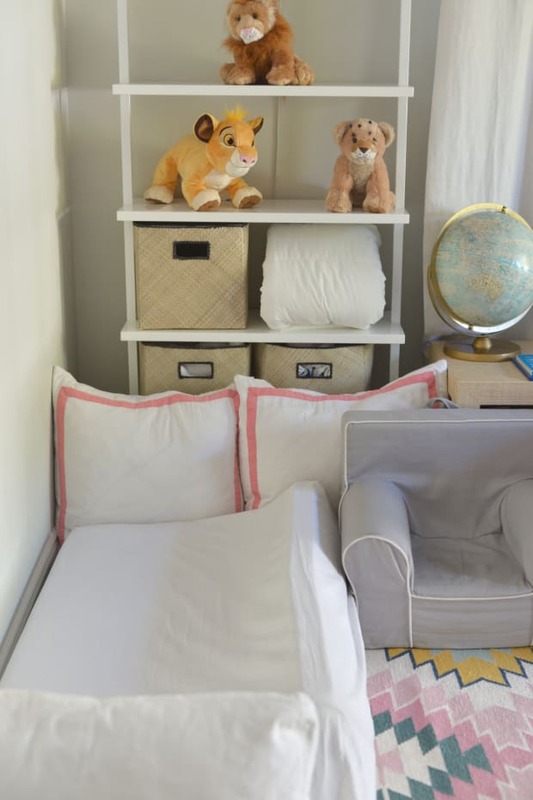 SD: "I think the three absolute nursery essentials are the right places for baby to eat, sleep and be changed, which means the glider, crib and a changing table (see above!). Once you have those things covered, you can start to have fun with bedding and décor items." 5. What’s the hardest thing about putting together an aesthetically pleasing yet functional nursery? SD: "I think the hardest thing is that new parents feel restricted by what&apos;s "functional" because it&apos;s all so new and intimidating. So they allow themselves to be told what&apos;s appropriate for the nursery, rather than let their own aesthetic taste and intuition guide them. Once they figure out what&apos;s truly essential for a functional nursery, creating one that&apos;s aesthetically pleasing is easy." 6. There is so much gear that comes with having a baby. What are the 5 things that any new parent should not be without and why? 5) Sophie the giraffe. (P.S. all of these can go in a small tote that goes into any normal purse.)" 7. Lots of baby stuff isn’t that attractive. Are there any appealing workarounds? SD: "I’m a big believer in storage baskets to hide the clutter of baby items. Our Rope Storage Collection are some of my favorites. They’re easy to tote and perfect for storing everything from toys to laundry." 8. Are there any items that you should always splurge and/or save on in a nursery? SD: "I always say the best splurge is on a fabulous gilder. As a new mom you will spend hours in your glider, feeding, cuddling and trying to get your little one off to sleep so you can do the same. My personal favorite is our Presidio Glider which is nice and compact for smaller spaces and city living." I can&apos;t wait to share the final reveal soon with all of the details from the room!